Winter is such a great time to be a knitter. What a better excuse to stay inside, drink something hot, and play with yarn, then a huge snow fall. This area, like many others this weekend, saw record snowfall, with some ice. Last winter I was working with some nice winter wear, perfect for knitting and wearing this year also. The first is Plymouth Yarn 2874 Aran Pullover in Galway Worsted. 100% wool, this will keep you warm on even a cold day. Don't you love the heart shaped neckline? Next is one of my new favorite yarns, Plymouth Yarn's Homestead. This is 2877 Vest make it for the men in your life. Because it is an aran weight yarn it will still be a fast knit. Don't forget to sign up for my newsletter, click the tab above. The questions sent to designers have resulted in some fun and informative answers. The first will be sent out soon! Things have been happening here at 100Creations. This month I had a pattern released in a magazine, opened my own group on Ravelry, started testing a shawl pattern, began building a newsletter, and of course knit every spare moment. My Ravelry group is 100Creations by Rachel. Please join me there for test knitting opportunities, patterns releases, and sales. 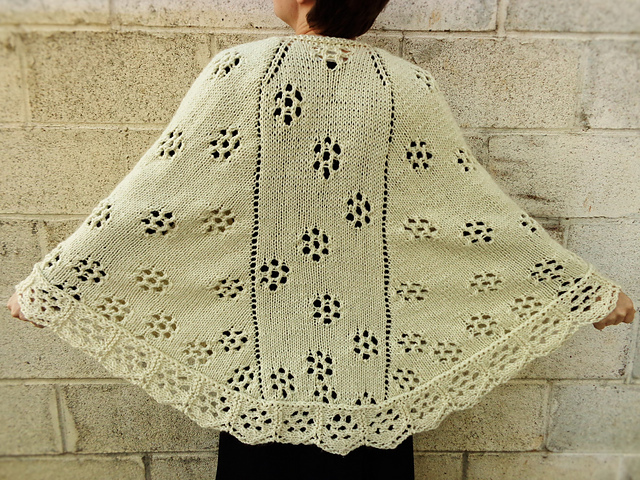 Currently testing is being done on the Snowflake Faroese Shawl. It is a top down shawl with shoulder shaping that allows you to adjust fit and placement of the snowflakes. Join me in the testing thread to join in testing, or ask for an earburn when the pattern is published. Hat patterns are also being developed, with the hope to start testing them soon. The February 2016 issue of I Like Knitting magazine includes my Intertwining Cables Scarf pattern. 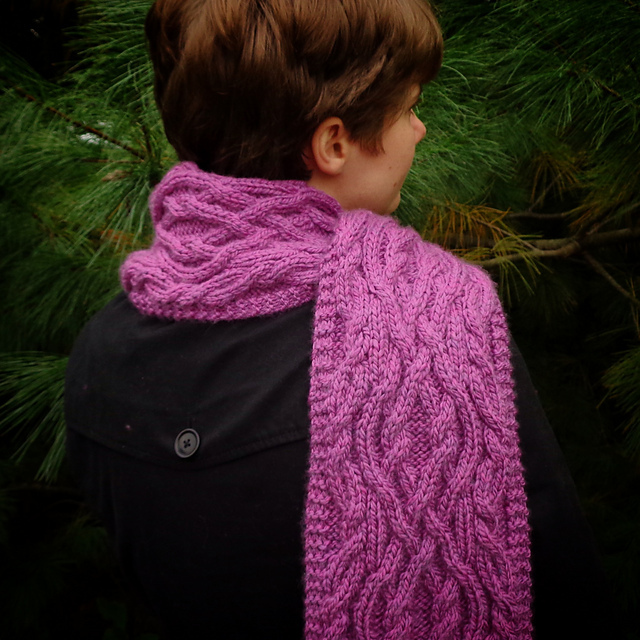 Unlike typical cabled scarves that feature orderly lines of cabled stitches, this beauty showcases two side cables that hug the lines of the center cable. The effect is a complex-looking scarf that is as fun to knit as it is to wear. I'm starting a newsletter. Beginning with a monthly issue, it will feature a designer interview, tips and hints, pattern suggestions, and current projects. Knitting and crochet designers and patterns will be included. Feel free to suggest designers that you love. Sign up here, or on the newsletter page here on my blog.